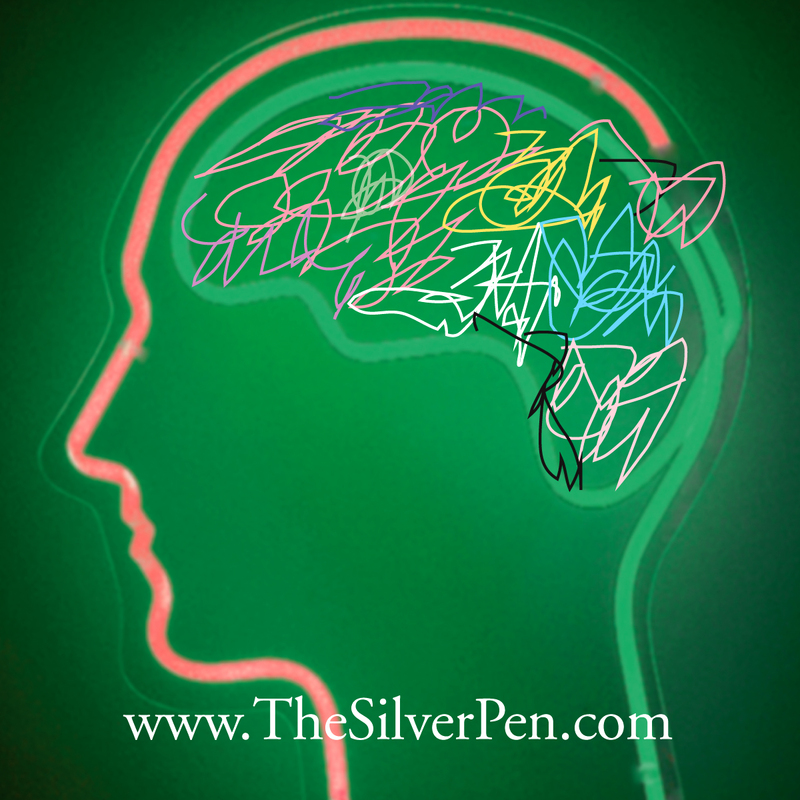 Chemo Clutter has many different descriptors: chemo brain, chemo confusion, mind fog. All are terms that describe impairments in cognition resulting (at least in part) from chemo. Every summer, I get so excited to do a mid-year clutter cleanout. The piles that accumulate by July are... well, embarrassing. But every summer, when the thermostat rises and I want to stay inside, like clockwork, I begin to dig out and organize. 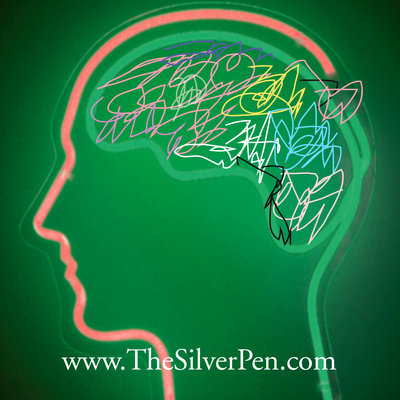 Chemo Clutter has many different descriptors: chemo brain, chemo confusion, mind fog. All are terms that describe impairments in cognition resulting (at least in part) from chemo. Fatigue, estrogen deficiency, sleep cycle alterations, and depression are experienced by many chemo patients and are likely causative factors that can be used to explain chemo brain. And now let me (try to) articulate the component of chemo brain. Attentional fatigue is experienced when the demands for directed attention exceed the capacity to handle them. For example, I start 12 things, complete none and forget where I was. All in a 15-minute time period. I have a really hard time finishing things that I start, which is especially frustrating because we are trying very diligently to encourage our 6-year-old daughter to finish projects, books, etc. that she begins. I'm a big believer in actions matching words. Well, in my current state, my actions barely match the words (that I often cannot find). It is one hugely frustrating situation. Did you see that leaf float by? If you don't focus, I'm outta here!!!!!! Outta where? What are you talking about? This bothersome banter goes on ALL. DAY. LONG. Essentially, there is little to no focus whatsoever (I've started and restarted this post five times already... now make that six). My mind wanders to the most random and seemingly-futile places. Earlier today, my husband asked me what I was thinking about, and the best answer I could give him was "everything and nothing." Ever tried that? It's enough to make you feel really cuckoo! People magazine is sophisticated literature that I can barely finish before the next week's issue is out. CRAFT (Can't Remember a F-bomb Thing) is the thing that is the most upsetting everyday occurrence. Not being able to remember names. People. Places. Events. I was out last week talking with a friend whom I've known for years and Could. Not. Remember. Her. Name. I used to be the girl who could remember anyone's name after only one meeting. Unfortunately for my husband, he came to depend on my masterful ability. When he asks me now, I just look at him with an "Are you F-bomb kidding me?" look. The other day I was driving home (don't ask me from where) and I forgot which freeway exit to take to get to our house. Seriously. Freaked me out. I took a few deep breaths, pulled myself together and made my way home. Phew. Perhaps I should put one of those GPS devices in my ear and tattoo the HOTY's phone number on my bald head. I have always prided myself on my organization skills. I'm the girl who alphabetizes her library. Every lecture I've ever given is filed by date. I have been in a long-term relationship with a label maker. The clothes in my closet are hung by style, color and season. Full disclosure here, I know. Not anymore! Books are stacked high. Haven't given any lectures. The label maker is dusty (which is akin to sacrilege). And my closet? Piles. Everywhere. The thing about disorganization is that it fuels my memory loss and lack of concentration, which then fuels more disorganization. Get the vicious cycle? Okay, as if mine were not already bad enough. Tonight as I was saying goodnight to our daughter, she asked me how much "0 + 0 equals." The kicker: I had to THINK ABOUT IT. Process it. Fortunately, she said, "Mommy, I'm just teasing you." OMG. Finally SHE thought it was a joke, but I was trying to figure it out. Enough said. Here's what this looks like. Either words don't exist... literally can't be fabricated for the life of me, or the words float around in my brain (like flies) and can't get out. Either way, I stand across from someone glassy-eyed and unable to speak. Always on the verge of drooling. I used to be a good conversationalist, if I do say so myself. Now, not so much. I literally don't have words. The good news, though, is that I can (and do!) smile, which is a Silver Lining. I may look like and feel like an idiot, but I still manage to be happy. Exercise your brain by taking a class or doing a puzzle. Exercise your body to improve your mood, make you feel more alert and decrease fatigue. Eat veggies because studies show that eating more vegetables is linked to keeping brain power, especially as people age. Don't try to multitask (as IF that were a problem for me!). Set up and follow routines and the same daily schedule. Use a detailed daily planner to help keep track of dates, numbers, websites, notes and schedules. Track memory problems to help figure out what (e.g., medications, situations) may affect your memory. Try not to focus on how much these symptoms bother you. Accepting the problem will help you deal with it. I believe in my heart of hearts that the words will come back. The memory will come back. The fatigue will dissipate (can't speak to the arithmetic skills, though). I know that life will indeed return, which is the Silver Lining that I hold most dearly. To read more about Hollye's holistic and humorous journey over, around, above and below breast cancer, please visit her blog, The Silver Pen (http://www.thesilverpen.com/). You may email her at hollye@TheSilverPen or follow her on Twitter @hollyejacobs. For more by Hollye Harrington Jacobs, click here. For more on breast cancer, click here.